If you’re particularly invested in the stories of Batman and Superman pre-Dawn of Justice, then Warner Bros. is about to test your devotion by offering a new Batman v Superman prequel comic — but only if you buy a bag of Doritos at Wal-Mart and surrender your fingers to bright orange cheese dust. If that seems okay to you, then you’ll be rewarded with a digital prequel story that helps set the stage for Zack Snyder’s upcoming film. THR reports that WB has teamed up with Doritos and Wal-Mart for an exclusive Batman v Superman promotion, offering a digital prequel comic for fans who purchase specially marked bags of Family Fun Mix. The packaging has a special code for fans to enter, granting them access to a site that requires you to choose Team Batman or Team Superman in order to read the comic. Titled Upstairs/Downstairs, the digital prologue follows Henry Cavill’s Superman after the events of Man of Steel, when he defeated Zod in the great battle that cost many innocent Metropolis residents their lives. 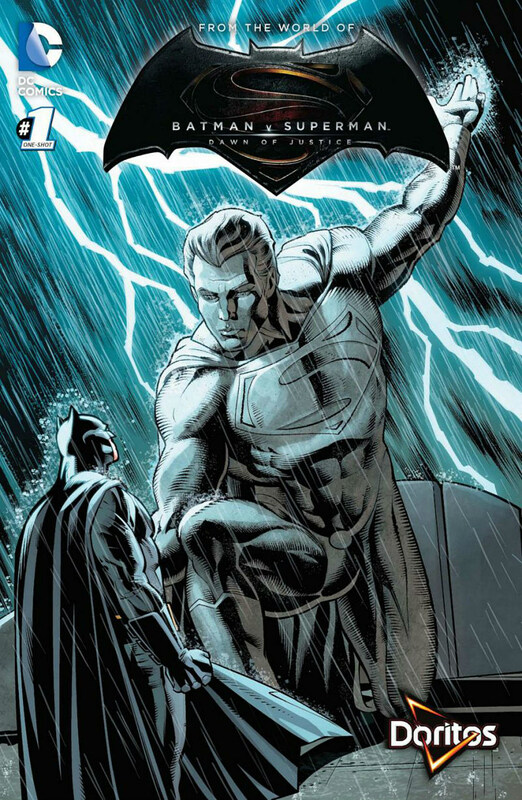 The comic will also reveal the statue erected in Superman’s honor, and show us how Ben Affleck’s Bruce Wayne / Batman first began to question the Kryptonian hero’s particular brand of justice. Upstairs/Downstairs will arrive in stores on February 29, and yes, that’s the same day that you’ll be able to purchase your pre-sale tickets for the film. Batman v Superman: Dawn of Justice hits theaters on March 25.